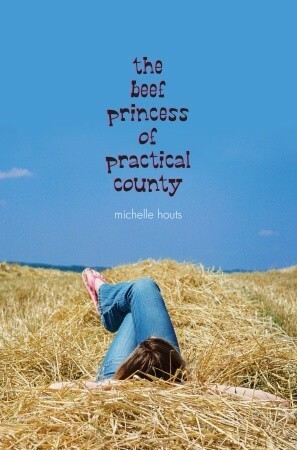 If you enjoy contemporary realistic fiction then The Beef Princess of Practical County is a good choice for you when choosing a Lovelace nominee. The main character is 7th-Grader Libby Ryan. The Ryan family’s livelihood is raising, showing and selling steers at market. Libby has grown up surrounded by the workings of the beef industry on property owned and run by her family for generations. When the story begins Libby is picking out the calves she for whom she will care and groom to show (and then sell) at the Practical County Fair the following year. With her older brother away at his first year in college Libby sees this as an opportunity to participate in the beef industry so loved and fostered by her parents and grandparents. It is also a prime opportunity to spend time with her father and prove to him she is worthy of his attention. When she proposes to name her newly acquired calves her father counsels against it. He knows that the end result of raising and showing a calf is selling it for beef at the Fair. Libby, however, proceeds with her own plan of action. There is a parallel plot line for Libby involving their neighbors, the Darlings, and their three daughters (Precious, Lil and Ohma). In this storyline Libby–at her mother’s and best friend’s urging–enters the Beef Princess Pageant at the Fair. The title has been held by one of the Darling sisters for the past four years. Libby is more comfortable in jeans and sweatshirts than a frou-frou dress. Because the Darling sisters are set up as the quintessential “mean girls” from middle and high school: pretty, shallow and elitist, Libby decides she needs to take a stand. The Beef Princess of Practical County needs to be a knowledgeable and passionate voice for the beef industry and the Darlings value only the tiara and the title. There are parts of the book I thoroughly enjoyed. The author succeeds in creating a realistic loss situation for Libby to navigate. I think the character of Libby’s mother explains this too much at the end when she really doesn’t need to. As readers we already get it. Libby’s voice seems to be that of a 7th Grader for most of her narration but she occasionally lapses into what seems more like the adult voice of the author. My biggest confusion came from the dual storylines. Every so often they would intersect, but never in a way that helped me understand why they were both in the same story except to manufacture some plot points. The Pageant story and the Beef Industry story don’t complement each other in a way that makes them more than what they are individually. That said, I did find it informative about the beef industry in ways that were not preachy one way or the other. I enjoyed some laugh-out-loud moments with Libby’s younger sister Frannie and her imaginary grandchildren. And I was moved (as I usually am) by the child-animal relationship between Libby and her steer in a way I had not expected. All in all I liked it more than I disliked or was confused by it. It’s a good choice for a young girl deciding which Lovelace nominees to read.